It’s hard out here for a single dad who isn’t necessarily a pimp. But it’s not hard for network execs to return to the well of TV history for their upcoming projects, and Fox is now developing a new edition of The Courtship of Eddie’s Father, the popular 1969-1972 sitcom about widower Bill Bixby’s romantic foils and the son who loved them. The former series was itself based on the 1963 film with Ron Howard, but this Warner Bros. TV and Conaco project will use the small screen version as its inspiration, according to Deadline. Writing and executive producing are Mark Levin and Jennifer Flackett, the duo behind Nim’s Island and Journey to the Center of the Earth. They started their writing career on shows like Beverly Hills 90210 and L.A. Law, and have been absent from the TV world for quite a while. The Courtship of Eddie’s Father will follow Tom Corbett and his son Eddie, as the latter tries to find a new mother by messing with his father’s love life. 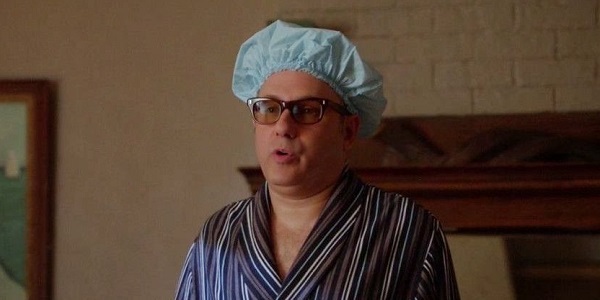 The deal comes with a cast member already set, with White Collar’s Willie Garson playing Norman Tinker, Tom’s friend and colleague. Garson is part of the inspiration behind this remake; Levin and Flackett’s script will reflect the actor’s life as an adoptive dad and his “best friends” angle on fatherhood. All my best friends dress like Garson does here. Interestingly enough, the original series’ Norman was played by creator James Komack, whose pronounced involvement in later episodes pissed Bixby off, and the show was later cancelled. Given Garson’s similar behind-the-scenes involvement, is history going to repeat itself beat for beat? Wait, that’s The Conspiracy of Eddie’s Father. This marks the second series that Levin and Flackett are trying to get off the ground – they also have an NBC comedy pilot called Confusing – and the billionth TV remake that we’ve seen in recent months. Great American Hero is also at Fox, while a Bewitched update recently wrinkled its nose. Lost in Space is probably coming back as well. Television is a flat circle, people. The WB already tried bringing Eddie’s conniving precociousness back to TV audiences in 2004 with Ken Marino as Tom and Josh Hutcherson (The Hunger Games) as Eddie. It never went past the pilot stage though. I think Tom’s wife has a better shot at lasting longer than this new comedy does at Fox, but that’s just me being guided by Fox’s dead-on stereotype. Perhaps The Courtship of Eddie’s Father will recapture some of the heartwarming family fun that the original series had going for it.